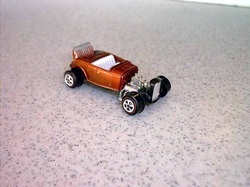 Welcome to my Sell Your Old Toys page for cars and toys that I am looking to buy. The list is not complete. 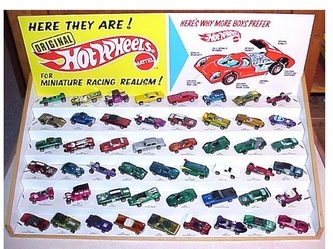 I am always looking for Hot Wheels redlines, the original Hot Wheels from '67-'77 with red stripes on the tires. I will buy a single car or an entire collection. They can be loose or still in package. Use the form below to contact me. Please include a list of the items you have for sale as well as their condition and how much you are looking to get for them. Note that with very few exceptions I am only buying toys from the '50s, '60s and '70s. 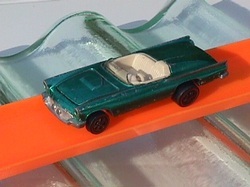 Mattel's introduction of Treasure Hunts (THs, T-Hunts) to their regular line of cars in 1995 was the unofficial kick-off to the Hot Wheels collecting boom. When I found a '95 TH Passion hanging on the pegs in 1996, I thought that "10,000 produced" of each car was hardly a limited quantity and left it on the pegs. I certainly wasn't going to try to "collect all 12" as it suggested on the package! LOL!! In 1996, Mattel increased production to 25,000 but by then the number of collectors had also increased significantly. 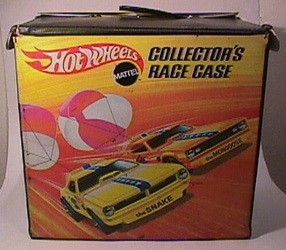 The following year Mattel omitted the production number from the package. 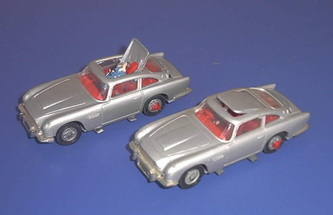 THs are now produced in two forms: Regular Treasure Hunts marked by a subtle tampo on the car and Super Treasure Hunts with Spectraflame-like paint and rubber Real Rider tires. 1995 JCPenney Treasure Hunt Set of all 12 cars in box. 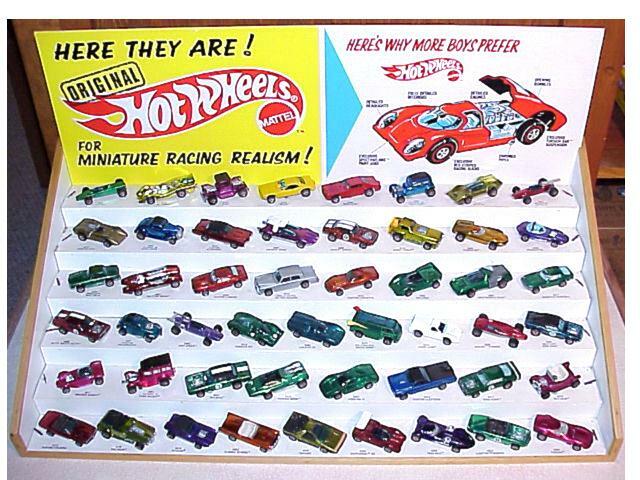 Following is a partial list of the redlines that I'm looking for but there are many others that I want. If it's in good shape I probably want it and I'm always looking to upgrade the cars I have. I prefer cars in near mint to mint condition, C9-C10, but it depends on the rarity of the casting. FYI, redlines have red stripes on the tires and are copyrighted from 1967-1977 on the chassis (the name of the car is also found there). I already have at least one example of most of these but would like to upgrade or have additional colors. Keep in mind this is only a partial list and if it's in good condition I want it! The Spoilers Series: Boss Hoss, Heavy Chevy, King Kuda, Evil Weevil, Nitty Gritty Kitty, Sugar Caddy, Light My Firebird and TNT Bird. Club Cars (chrome): Boss Hoss (mint condition w/all stickers). Customs: AMX, Barracuda, Camaro, Charger, Continental Mark III, Corvette, Mustang, Eldorado, Firebird, Fleetside, T-Bird and VW. Skyshow Fleetside and Skyshow Deora (with ramps and planes). Breakaway Bucket, Mercedes Benz C-111, The Demon, Mod Quad and Olds 442. Beach Bomb and Bye Focal. 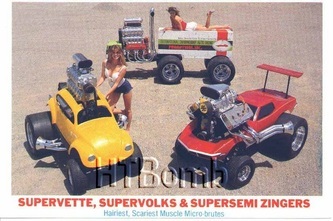 1973 enamels: Alive 55, Double Header, Superfine Turbine, Dune Daddy (metal base), Police Cruiser, Prowler, Sand Witch and Show Off. Snake II & Mongoose II Funny Cars. Flying Colors: Winnipeg, Backwoods Bomb, Large Charge, Chevy Monza, Mustang Stocker, Motocross 1, Super Van and Volkswagen Warpath. 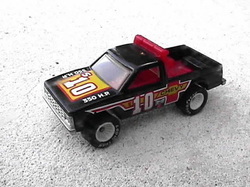 I collect original 1980s Real Riders series cars (the ones with "real" rubber tires) and I'm still looking for Good 'Ol Pick-Um-Up, Cadillac Seville and A-OK Early Times FORD Model A . Original castings from the 1960s. 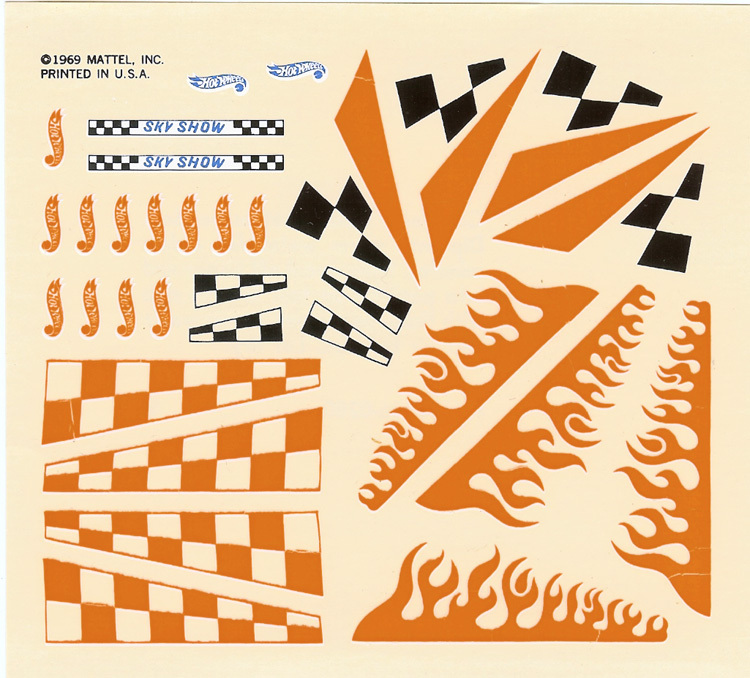 Revell's fantastic line of kits designed by Dave Deal including McLapper, Trans Um, ZZZZZ-28 and Glitter Bug. COX 1/24 La Cucaracha (pictured here) and Chaparral 2E with wing and others including kits. If you're not sure what you have just write me with a description. 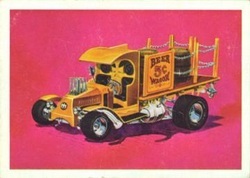 Donruss trading cards/stickers from the late 60s and early 70s. 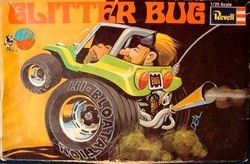 They feature "Big Daddy" Ed Roth-type pictures of cars with monsters driving cars with huge engines and tires. Cool. 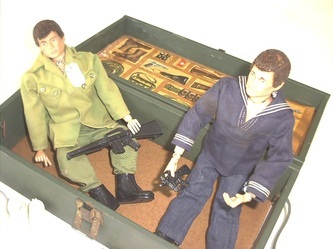 If you ANY vintage toys you would like to sell please contact me.